Some readers have told me they have had problems commenting on this blog and I want you to know I finally figured out why and I fixed it! WordPress has a good forum where someone was able to direct me to the exact place to go to make the necessary changes. My thanks to those who let me know about the problem and to the one who gave me such good advise! You all should not have to go through the hoops to comment here anymore! It’s so nice to have clean tables to work on – unusual but nice when it happens! Unfortunately, I took these pics last week and they do not look like this today! I shifted things around a little and now the TV is in a bit of an awkward place but it’s fine until I get around to repositioning it….well, until Bill gets around to it. I don’t know what happened the other day. I took pictures for about an hour or so and there were a bunch already on the camera from another trip to Boston but when I got home to upload them there were no pictures in the camera and it said there was no more memory! What a disappointment! Did that ever happen to you? I don’t know why it happened but the next round of pics I took at my grand daughter’s First Communion came out just fine. Isn’t she a sweetie?! 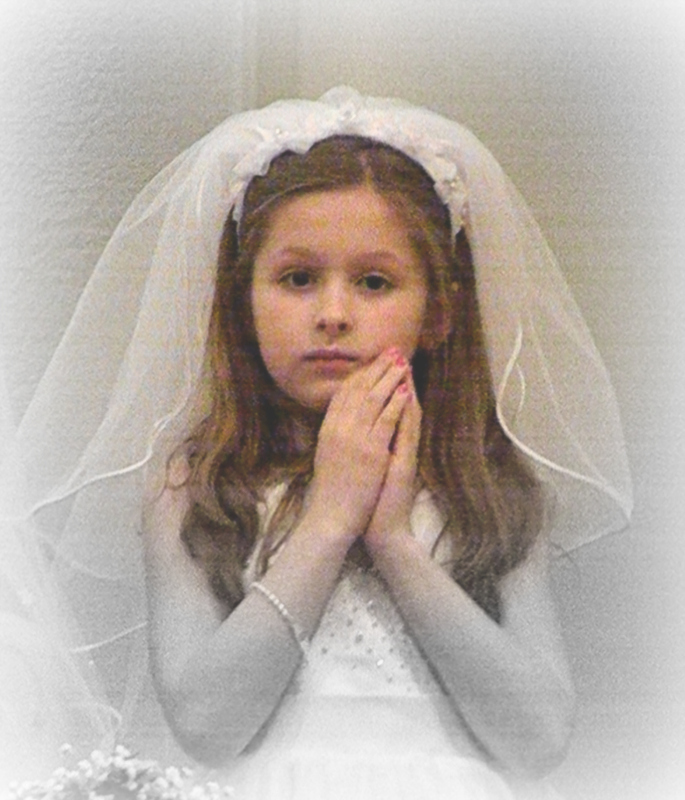 My Youngest grandaughter, Markie Lawhorne on her First Communion Day. Glad the comments are working now. My space will never be that clear my mind demands a certain amount of disorder. Lovely idea though. It doesn’t last more than an hour though! LOL! 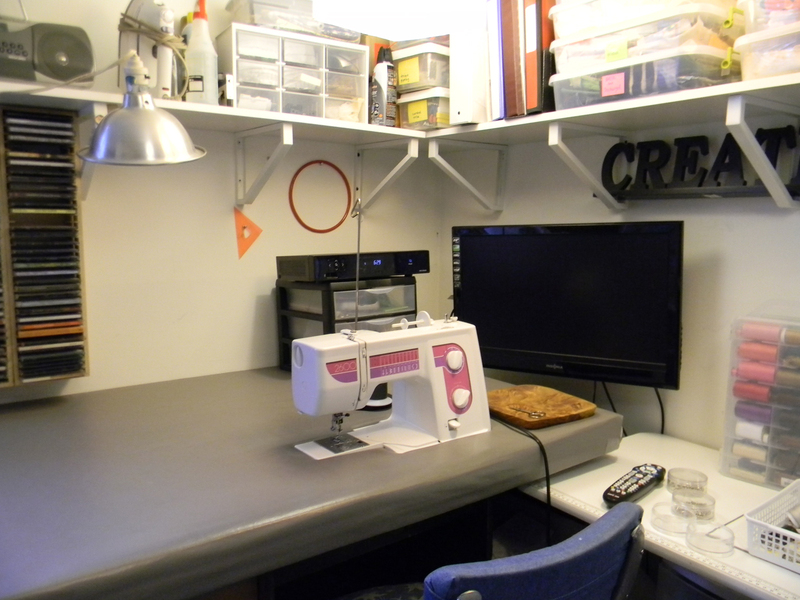 My space is so small, I can’t possibly manage if I don’t put it in order after each quilt or maybe after a couple sometimes. I’m also so bad about putting things away after I use them, so I have to make up for it later.